FIFA 15 - Legacy Edition - 3DS - Complete - Manual - Fast Shipping! FIFA 15 - Legacy Edition (Nintendo 3DS, 2014) COMPLETE! 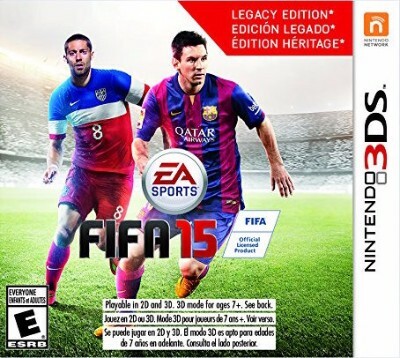 FIFA 15 -- Legacy Edition (Nintendo 3DS, 2014). Complete. Soccer. Rare. FIFA 15 - Legacy Edition - Nintendo 3DS - Complete in Box CIB - Great Condition!